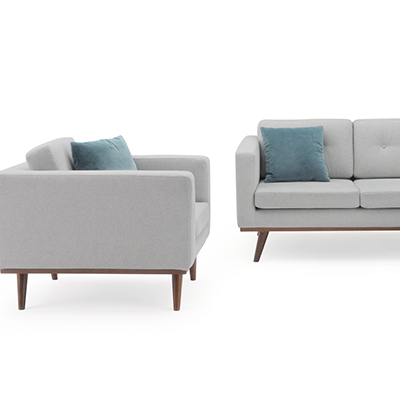 Clean lines and soft designer fabrics make our James 3-piece set a fresh take on mid-century furniture that fuses pleasure and contemporary design to enliven your space. Reversible, tufted cushions, add a classic touch while increasing the longevity of your investment. 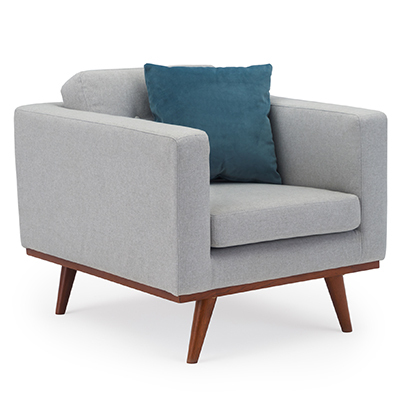 Solid hardwood frames are complimented by durable upholstery with accents of oak legs and velour accent pillows. Set includes a tufted sofa, tufted club chair, ottoman, and three velour accent cushions. Inner frames are constructed from solid beech wood. 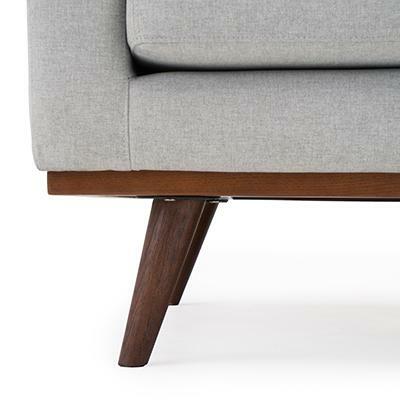 Solid oak tapered legs in a brown finish brings out the natural detail of the wood. Seat rests on medium-density European webbing for a comfortable hold. Martindale rub test: 40K rubs. Cushions are tufted on both sides for a detailed touch of finesse. 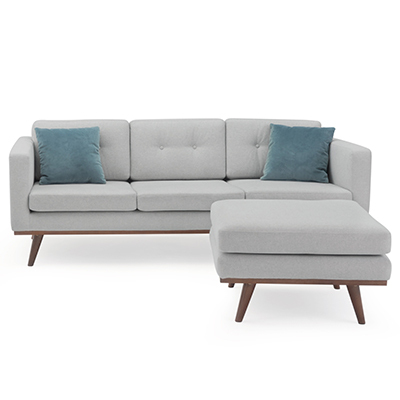 Chair and sofa cushions are rotatable to add to the longevity of the set. Seat Height (with cushion): 17 in.